"I am just LOVING this weather! ", so says every person I see. Ugh. Yeah, it's nice to get a break from 100+ degree days, but before you know it every day is freezing and you're dreading leaving the house because your car doesn't warm up till you're a minute away from where you're going. 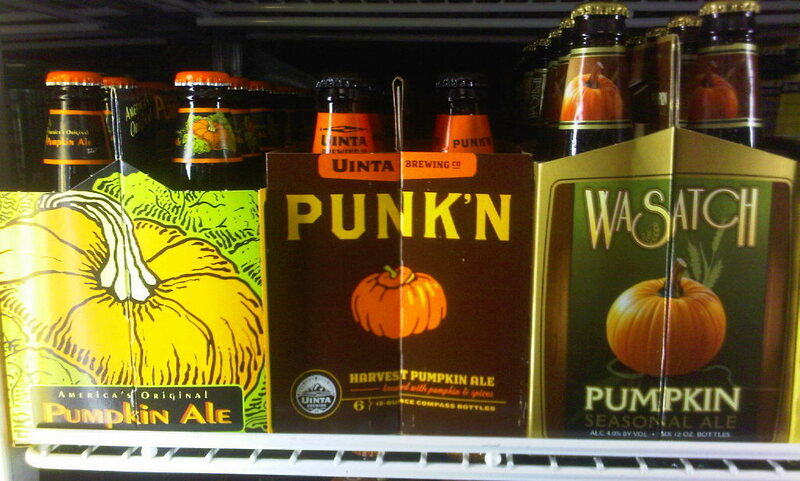 At least we've got the seasonal pumpkin beers for the 5 second transition between summer and winter. Though looking at what we get compared to the rest of the country, ours are some sad choices. Of the three pictured, I have yet to try the Wasatch version, but that is because I don't want to pay $8.99 for a very Utah-like 4% ABV beer. 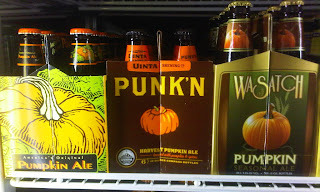 The Uinta Punk'n and Buffalo Bill Pumpkin (the originator of the style) are fine, but I will be holding out for the locals. Il Vicino's version. Chama's Sleepy Hollow. Marble's brand new Belgo Pumpkin! None are out yet, so don't go asking just yet. But when you find yourself deciding between shelf brand Pumpkins and the local breweries takes on the style, the locals blow the nationals away.